OVERLAND PARK, Kan. (Jan. 17, 2015) – This month the National Operating Committee on Standards for Athletic Equipment (NOCSAE) will begin requiring third-party certification for athletic equipment to meet NOCSAE standards, in accordance with ANSI/ISO national and international guidelines. Under the new requirement, manufacturers will contract with Safety Equipment Institute (SEI), an independent ANSI/ISO 17065 accredited certifying body, to certify their equipment as compliant with NOCSAE standards. As part of the process, SEI will conduct onsite quality audits, evaluate testing procedures and randomly select products to test for compliance. The NOCSAE board of directors made the decision to transition to third-party certification in October 2013 following almost two years of discussion, evaluation, and planning. Previously, manufacturers were responsible for testing and self-certifying their athletic equipment to NOCSAE standards. Details of the new certification process were discussed Friday at NOCSAE’s standards meeting in Phoenix. 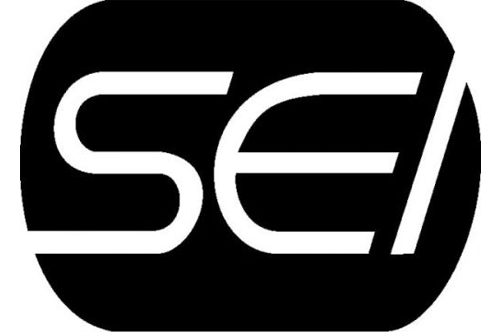 All manufacturers are required to sign agreements with SEI by January 31. NOCSAE will stagger its transition to third-party certification through early 2016, based on manufacturers’ production seasons for athletic equipment. Baseball and softball equipment will be the first, requiring compliance by the end of August. Football, polo and lacrosse equipment will require compliance by the end of October, with the exception of football gloves which will comply by the end of December. Soccer shin guards are the final standards to implement third-party certification, in January 2016. The draft football helmet standard to include pneumatic ram testing for rotational forces is on-track for elevation to final status at the June 2015 board meeting, with Friday’s discussion centered on determining the pass/fail threshold. This will be the first helmet standard to test for rotational forces. Research continues into a separate standard for youth helmets. Currently, small-sized helmets are required to meet the same standard as medium- and large-sized helmets. Recent research indicates that youth-sized helmets have a lower helmet-weight to head-mass ratio than adult-sized helmets. However, preliminary pneumatic ram testing indicates that small-sized helmets which have less mass don’t perform as well in rotational impact tests as medium or large helmets of the same model, which is likely due to their lighter weight. At this time, there is not enough data to suggest a helmet mass limit for youth-sized helmets. The board of directors voted to move several standards to proposed status – which means they will be open for comment for one year. These include proposed standards for field hockey headgear and balls, and revisions to NOCSAE’s corrosion testing standard. These standards will be open for public comment until January 2016, at which time they will be voted on as final standard. The draft versions of these standards are available for review at www.nocsae.org.